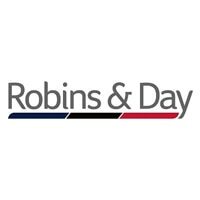 Robins & Day is a car dealership group with 41 sites across the United Kingdom. The company specialises in the sale of new and used Peugeot, Citroen and DS vehicles, offering a comprehensive range of cars and vans in a variety of styles. Aftersales is a key service offered at Robins & Day dealerships, and with two parts distributors located in the West Midlands and the North West, you can buy any parts you need as well. The company is also well equipped to lease business cars and vans from the Peugeot, Citroen and DS marques. In 1913, two bicycle businesses were merged and the Robins & Day Group was born. After joining the Rootes Motor Company, Robins & Day began selling cars manufactured by Hillman Humber, Singer, Sunbeam, Talbot and Peugeot. It wasn’t until 1970 that Robins & Day dealerships became an official subsidiary of Peugeot. They held the Peugeot franchise exclusively until 2016, when they joined with the Citroen Retail Group, after having taken over the day-to-day running of their business in 2010. Today, Robins & Day are the largest dealer group for Peugeot in the UK. All new cars sold by Robins & Day dealers are models made by Peugeot, Citroen or DS. Compact and economical new models include the Peugeot 108 and the Citroen C1. For those needing a little more room there’s the versatile Citroen C3 Picasso or the spacious Peugeot 2008. At the premium end of the scale are DS models like the sleek and stylish five-door DS 5. Many excellent nearly new and used cars are also available, with Robins & Day dealers supplying popular brands such as Toyota, Audi, Nissan and Ford. Customers seeking the best value option can benefit from Robins & Day’s competitive and easy-to-follow finance plans.